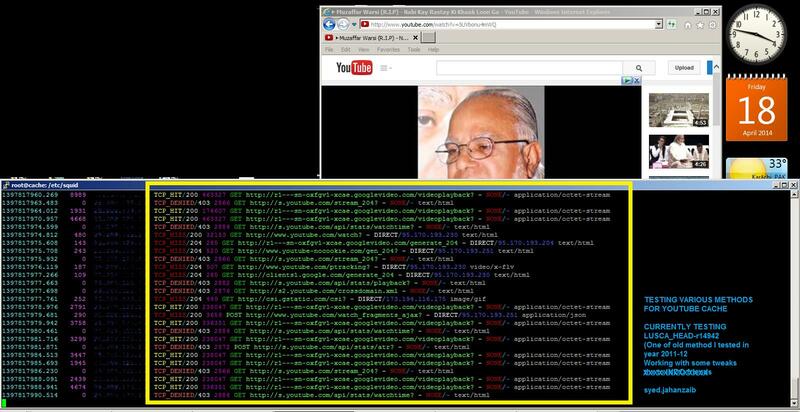 Howto Cache Youtube with SQUID / LUSCA and bypass Cached Videos from Mikrotik Queue [April, 2014 , zaib] | Syed Jahanzaib Personal Blog to Share Knowledge ! http://www.dailymotion.com → Partial Working, DM changes video quality as per user internet link speed, which makes prob. If this method helps you, please post your comment. What is LUSCA / SQUID ? LUSCA is an advance version or Fork of SQUID 2. The Lusca project aims to fix the shortcomings in the Squid-2. It also supports a variety of clustering protocols. By Using it, you can cache some dynamic contents that you previously can’t do with the squid. # Video Cachingi.e Youtube / tube etc . . .
# Windows / Linux Updates / Anti-virus , Anti-Malware i.e. Avira/ Avast / MBAM etc . . .
# Well known sites i.e. facebook / google / yahoo etch. etch. # Download caching mp3’s/mpeg/avi etc . . . Peoples on same LAN ,sometimes watch similar videos. If I put some youtube video link on on FACEBOOK, TWITTER or likewise , and all my friend will watch that video and that particular video gets viewed many times in few hours. Usually the videos are shared over facebook or other social networking sites so the chances are high for multiple hits per popular videos for my lan users / friends / zaib. This is the reason why I wrote this article. I have implemented Ubuntu with LUSCA/ Squid on it and its working great, but to achieve some results you need to have some TB of storage drives in your proxy machine. 4# Using ZPH TOS to deliver cached contents to clients vai mikrotik at full LAN speed, Bypassing the User Queue for cached contents. I assume your ubuntu box have 2 interfaces configured, one for LAN and second for WAN. You have internet sharing already configured. Now moving on to LUSCA / SQUID installation. and Delete all previously lines , and paste the following lines. Remember following squid.conf is not very neat and clean , you will find many un necessary junk entries in it, but as I didn’t had time to clean them all, so you may clean them as per your targets and goals. # Cache Pee, for parent proxy if you ahve any, or ignore it. acl ads url_regex -i .youtube\.com\/ad_frame? main job to redirect and pull video from cache. Now paste the following lines, then Save and exit. and look for any error or termination it may get. If all ok, just press enter few times and you will be back to command prompt. It’s time to hit the ROAD and do some tests…. Open Youtube and watch any Video. After complete download, Check the same video from another client. You will notice that it download very quickly (youtueb video is saved in chunks of 1.7mb each, so after completing first chunk, it will stop, if a user continue to watch the same video, it will serve second chunk and so on , you can watch the bar moving fast without using internet data. As Shown in the example Below . . .
and download any song , after its downloaded, goto 2nd client pc, and download the same song, and monitor the Squid access LOG. You will see cache hit TPC_HIT for this song. Now test any .exe file download. Goto http://www.rarlabs.com and download any package. After Download completes, goto 2nd client pc , and download the same file again. and monitor the Squid access LOG. You will see cache hit TPC_HIT for this file. Using Mikrotik, we can redirect HTTP traffic to SQUID proxy Server, We can also control user bandwidth, but its a good idea to deliver the already cached content to user at full lan speed, that’s why we setup cache server for, to save bandwidth and have fast browsing experience , right :p , So how can we do it in mikrotik that cache content should be delivered to users at unlimited speed, no queue on cache content. Here we go. 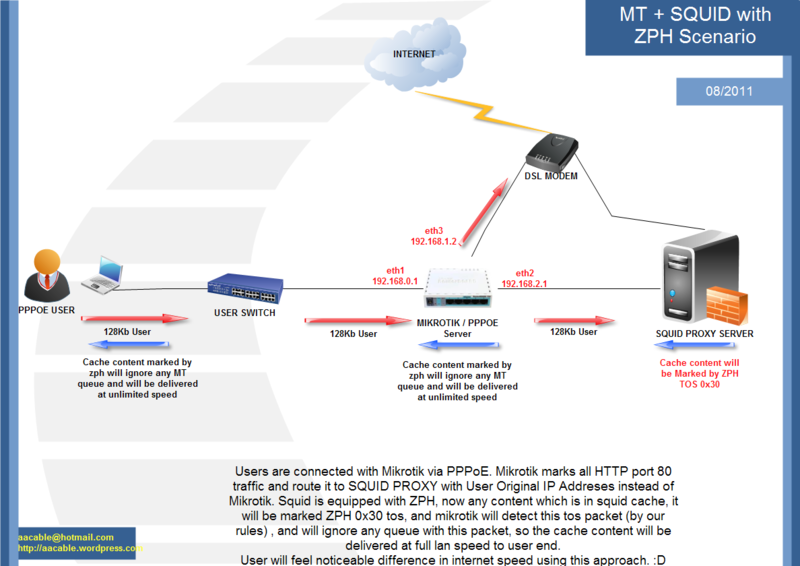 By using ZPH directives , we will mark cache content, so that it can later pick by Mikrotik. Basic requirement is that Squid must be running in transparent mode, can be done via iptables and squid.conf directives. /ip firewall mangle add action=mark-packet chain=prerouting disabled=no dscp=12 new-packet-mark=proxy-hit passthrough=no comment="Mark Cache Hit Packets / aacable@hotmail.com"
Now every packet which is marked by SQUID CACHE_HIT, will be delivered to user at Full lan speed, rest of traffic will be restricted by user Queue. Can you see something like ??? Hi,suddenly lusca stops responding but still running.i have to restart in-order to work again. Just use the config and the storeurl.pl and I think it will work even with SLITAZ. I check your perl script and squid configure and all work fine. But I have some question i have approximately 300-350 throughput what about hardware suggest , now i use HP server with 192 GB RAM , 8*300 GB Hard disk , 2960 intel cpu with 6-Core , I use debian 6.0.7 with your LUSCA squid . That is fine Hardware and software or you suggest any develop ? Our main problem that squid use one core of CPU and that make that core load reach 90%-95% in some time ,can you help me for use other 5-core of my CPU by squid. Can I remove the above lines from squid configure? >squid use one core of CPU and that make that core load reach 90%-95% in some time ,can you help me for use other 5-core of my CPU by squid. because developed of Intel CPU will increase number of cores not increase CPU frequency . I heard there is a way to install squid in every core that meaning install six squid every one on core or install six operating system every one on core , you have any information about that? Everything works fine, however, I found 1 thing … May be its a squid bug…I am not sure…But files downloaded with browser download manager is cached, and files downloaded with Internet Download Manager is not cached, even though I am using transparent proxy for both. Please check this in your server, and see if the same happens for u as well…. I have observed this behavior. But currently I don’t have any solution for this. Its not CDN in this case, I am trying to download a simple static mp3 file. Its actually because IDM uses multiple parts downloads … and therefore its not caching. But is there any solution other than that? So how to autostart lusca ? # You can have some caching functionality even on simple squid 2.7 (even with default installation in ubuntu by apt-get install squid), You don’t need hard coded LUSCA to achieve youtube or dynamic contents, Use the following guide. # For simply running LUSCA after the computer started but before a user logs in, you can simply edit the script /etc/rc.local which is meant to solve exactly this task. Thanks ! I make cron job. This is probably related to storeurl.pl …. do you have some update ? Please make yourself clear or rephrase the question. The Mikrotik is showing that wlan1 pppoe client is taking 4 mbps bandwidth. 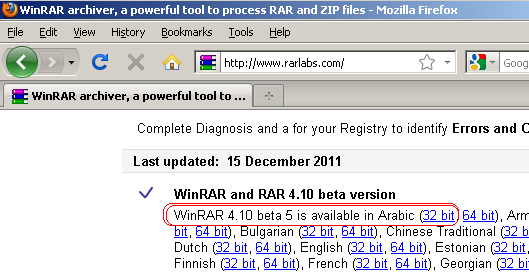 but the IDM is showing its taking only 512 kbps. Do configuraton files need to be changed if iam using squid through one nic ? no need to change config. Is it normal squid take all internet speed ?????? when user download any file and user have limted speed ???? in squid lan = 512K , wan have speed = 4M ??? in Load balace Local = 4M ??? this pic Immediately when i download squid take allllllllll speed but i have only 512K??? squid 2.7 dont support few refresh pattern. LUSCA is better in some cases. I just tried caching using SQUID / Lusca, as described above, but the videos are not even playing for the first time! try to start lusca/squid without storeurl.pl and check if it works. I was also notice this behavior … after few refeshes … somethimes is open … maybe is smarter to contact this original author of storeurl to ask him for some update ? If you find one, do let me know. and yes contacting author of storeurl.pl is the best method to get the authentic solution or reply. LUSCA works like SQUID, infact it is squid’s more advance version you can say. Hi do you have a version for windows xp???? or can you make a version of squid/lusca for windows xp thx. and more power…. There are win32 base squid version available on internet. But You can’t get real performance from windows base SQUID. So its better if you do it in Linux. Ubuntu is good for beginners and starters. What config you are talking about ? jahanzaib bhai i have dual core CPU with 2.50GHz processor. 4 GB RAM and 1 TB harddisk. to kya main easily use kr skta hun jo ap nay caching btaei hai ? Yes you can. Hardware is enough. Hi Sir can you make a delaypools options… thx and more power…. Whatis the exact issue ? i’m very thankful for this deep explanation. I managed to install it and it is working fine, but wanted to enable SNMP, so I can draw some graphs. Have you tried to compile it with enable-snmp? can you define it please and how can it be good for improving the performance?? Try to use newer version and make sure you copy the right source code. I use Ubuntu server 11.04. And i copy paster the squid.conf and storeurl.pl files using view source and then paste it to a file in notepad in windows. Then i copy them to the directory as written above. I think i found the problem, but still don’t know how to solve it. If you open the /var/log/squid/cache.log you will find the problem. I think it related with file permission. Because i am a linux newbie, I hope someone could help. Syed, I hope when you are not busy you can help us.. The problem is solved. After try to reinstalling the ubuntu server 5 times i found that the problem because of i copy paste the squid.conf and storeurl.pl via notepad in windows. Although I save as it as all files and put the file extension with .conf and .pl it seem that ubuntu didn’t recognize the .pl file that created by notepad. That was my own mistake…..
Syed thanks for all the share knowledge here. By default FEDORA installs SQUID 3 which deoesn’t support ZPH by default, you have to compile Squid 2.7 on Fedora in order to use ZPH or Use LUSCA on FED , as LUSCA supports ZPH well. On the other hand UBUNTU installs squid 2.7 which supports ZPH so no extra work is required. i’m using your source code !!!! and what’s new version you are talking about ???? Buenas noches, lo instale en mi equipo portátil para realizar varias pruebas pero soy novato, como hago para ver si esta funcionando y mi equipo tiene dirección ip asignada por dhcp, y también como detengo squid? hi im ask what is different lusca fmi and lusca head? so it lusca works on ubuntu server 10.10 64bit? Yes it can work on 64bit too. I stopped working on it because of Job switchover. I will check it when I get some free time for R&D. cache webm seen a little dificult.. can you help us?? by the way.. thanks for the solution for youtube.. works great! Hmmm what impact you have seen for not to cache text/html contents ? redirect content from webm has no Cache-Control:no-cache so instead of webm video you’ll cache the redirect file which is empty. Which will also loop back to redirect content. jahanzaib bhai ubuntu main lan and wan kesay configure krtay hain ?? im having problems with sourceforge.net … when i try to redownload a file in another browser, the counter restarts and the download do not start properly, anyone hav this issue too? Nops. However going through same WAN IP every time, it can cause access deny sometime. will see about that! thanks for the tip.. by the way.. did you get working 4shared preview files? i only get working download files.. but preview.mp3 dont..
jahanzaib bhai mujh say ubuntu mainn lan and wan configure nhi ho raha . will u plz tell me . one big problem in youtube.. if you get a cached video and try to change dpi the video doesnt play anymore.. only the original dpi.. anyone hav a fix for this? fixed forcing cache with quick_abort_min -1 in squid.conf.. for anyone that hav the same issue! Check File Size limitation in squid. From where i can check the file size limitaion ? I mean in which variable in squid code ? i have already tried this already minimum_object_size 0 bytes and maximum_object_size is 100 MB . but still i get the problem. Hi, If you copy the content to you clipboard from above tutorial, you need to make sure that you remove all the %nbsp”. The code will not read correctly. I had the same problem at first. 2012/04/19 01:46:16| ACL name ‘videocache_deny_dom’ not defined! Is there any way to graph the squid cache perfomance??? Yes I worked on MRTG graphs in depth, I made graphs for squid cache hit also, but unfortunately, I did this long time ago and I don’t have its cfg files. but its simple. Make sure your squid is snmp enabled, then by querying squid snmp oid, you can create graph for every instance of it. I will try to search for it on my local repositories. jahanzaib bhai ap nay btaya nhi k squid large file kesay cache krta hai ? Looking for you reply Sir…. Most IDM downloads will not fit into cache due to multipart chunks downloads. I haven’t tested squid youtube caching since few weeks. I will test it again and will let you know the results. from about 2 month ago youtube chache always tcp_miss, anyone have the solution? congrats for the excellent work! If I want to use an apache as a proxy for utube..and squid as cache..
How can I tell squid to always try to find cached content first before trying to proxy? I have no idea for apache as youtube caching server. Youtube caching can be done using etiher storeurl.pl file, or python base scripts (which uses apache for youtube cache distribution) , Also this method is used in VIDEOCACHE plugin which cache youtube using pytin scripts with apache which is a paid addon. Do you have any fix about the “51% youtube caching”, when you play a certain video in youtube then cached it, the next time it will be played is delayed or stucks at 51% then buffers again, but when i checked that certain video, its been already cached, the problem here is the delay. No solution for it yet. this is not a problem at all.. look at access.log.. youtube work with range files .. so you’ll cache alot of parts of the same video, you’ll buffer another part when playing part is about 90%, thats why u hav the delay on preload..but if you got hit on access.log its all fine. Not yet! Due to some time shortage I am unable to do any R&D on this project. and see what exactly error squid is showing. Problem Solved! main ny /var/log/squid/store.log-access.log-cache.log ko chmod 777 ki to squid server start ho gai. eb baqi testing start karny laga hu. in microtik dns ip given same has squid ip. Do i have to configure squid.conf and put my ips?? Well, either add another drive for caching support, or clear the current cache. Jhanzaib bahi …. I added a new hard disk are reinstall the Ubuntu 10.4 again and after 4 days I saw this error and after every 2 hours my squid stops working…… Could you help me or suggest me…. sir , how to make autostart lusca head service on ubuntu 12.04 ? WHEN ANY PC HIT YOUTUBE VIDEO IT PLAYS WELL AND COMPLETED NO ERROR BUT WHEN I REFRESH PAGE TO CHECK CACHE ONLY 1 SEGMENT OF VIDEO IS UTILIZED FROM LUSCA CACHE. DO U GET ANY UPDATE STOREURL.PL TO CACHE COMPLETE SEGMENTS OF YOUTUBE VIDEOS BECAUSE I USED UR LAST STOREURL.PL SCRIPT LINK: https://aacable.wordpress.com/2012/01/30/youtube-caching-problem-an-error-occured-please-try-again-later-solved/ IF YES THEN PLEASE PLZ PLZ MAIL ME A LINK ON MY MAIL E-MAIL=BIG.BANG.NOW@GMAIL.COM. GOOD JOB KEEP IT UP ALLAH BLESS YOU. U R TRUELY DOING A PERFECT JOB. No Updated Script to cache you-tube properly. I left working on this project because of new job busy schedule. i can do browsing and everything by defining the proxy but i can not download anything by internet download manager. to put your (0x30 tcp_outgoing_tos all). By doing this the ZPH has no effect, ie mark everything as 0x30 and not just hit squid. And if you remove all the tcp_outgoing_tos 0x30 does not work. Any ideas? squid will support form 3000 users? maximun how much it will support? Yes SQUID can support this number of users, but it really depend on the hardware you use. For 3000 users, you would be needing some latest hardware machine with quadx2 core cpus and lot of RAM. But putting big load on single machine, is not a wise idea, and consider to be a dad network design. Its better to divide proxy load on at least two machines. Check your cache size and refresh pattern. Try increasing your cache size. Check maximum file size variable value. it work with squid3 ?? i am try squid configuration in centos 5.5, (sudo apt-get install gcc build-essential sharutils ccze libzip-dev automake1.9) i am install gcc and build-essential but other packages not found . even tho it was compiled every steps are work, but i am stuck up in this command (chown proxy:proxy /cache1 ) error chown: `proxy:proxy’: invalid user any solution. i want to know make the the youtube open as default same ( 240/ video quality ) to all users, how i can make that ???? Currently there is no function to force 240p streamed to user. somewhere at videocache forum, I read that they were talking about implementing this feature that by default, 240p video should be served to user as default. I don’t know if they have implemented it on there software, check there forum or ask there support. Is youtube caching working with this guide as of right now or still have to refer to nginx method. Some people claims that its still working at there end. globe because as for now few people emailed me that storeurl.pl still working at there end. So in the same country you can still get two different url patterns. storeurl you use now obsolete, should be updated. I have successful installation of squid video caching but I am facing some issues like serving of old/ stale pages…. Happens mostly with flckr.com, news websites and few blogs…. Could there be any solution to the same….? Thanks…. in src-address, add the ip range which is assigned to specific interface. this way only clients with the specific pool will be redirected to squid, rest of clients will go directly, as per default route. are you talking about disk space? if you have 72GB of space, just reserve 40 GB. 2012/10/10 00:33:38| User-Agent logging is disabled. 2012/10/10 00:33:38| Referer logging is disabled. 2012/10/10 00:33:38| Accepting transparently proxied HTTP connections at 0.0.0.0, port 3128, FD 22. 2012/10/10 00:33:38| Ready to serve requests. Try copying it to notepad then see for any invalid character, or try copy pasting it from another source. what is your aim ? are you trying to caching youtube? if yes , then use NGINX method, its much better then this one. Search my blog I have written an article on it too. Sorry for my noob and bad english. I want to ask wether the facebook app (like zynga, ninja saga, etc) is dynamic content? how we can cache it? Hello there! I simply wish to give you a huge thumbs up for the excellent information you have got here on this post. I am returning to your web site for more soon. after mounting, add the folders in /etc/squid.conf add the cache_dir respectively. Thanks syed , just a last question about adding a hdd . if i mount every disk and add just the cashe_dir of all the disk . would the disk be balanced so if the first is full to add it to the second or if the first is filled with 1Mb then the second becomes so the third … and so on . how can disable caching the video from youtube only .. Thank before, my problem why not stored in chrome update my proxy. consequently chrome update every time a connection is slow. how to do like this? Its a SQUID error when you use ACL to block any web site or URL filtering. You can block any site, and edit the default error page. syed bhai after installing squid it works fine but after sometime i cant access cachelog and hits it gives this error. after rebooting squid those commands start working but after sometime like 12 hours or more it start giving same error. can u please help me y this happens? I am having this problem with my sitemap. i got a video sharing website and its sitemap have some error in it. can anyone give me a solution to that. I was wondering,since i decided to install proxy server in my network,could you advice me what kind of hardware should i buy for proxy machine.I have about 150 clients and average consume about 30mbits. Fro 150 Users, Any Intel Core2Duo base PC with 4-8 GB RAM, 320/500 GB HDD would be enough. XEON base processors are however good and stable as compare to desktop PC. Its all depend on your budget. It’s a good idea to have 64 bit architecture hardware/OS support. It works very good and reliable. Try with NGINX method, it still works i Guess. thank you for all tut. on squid, set its default gateway and dns pointing to mikrotik interface, and in mikrotik create a masquerade rule that masquerade all traffic coming from squid pc. yes you can use one lan card with squid also. in squid, configure default gateway and dns pointing to mikrotik interface which is connected with the squid box. also create a NAT rule for squid ip. the problem is, we can mangle in mikrotik the DSCP TOS of squid only, but not the peer data that coming from Lusca. I have not worked in such scenario, but TOS wont work in default config i am sure. Search google there might be some workaround for it. I recommend you to post your query at squid mailing list. i have install ( lusca – video cache ) and ( squid 2.7 stable 7 ) in same box as peer. i Tos between the mikrotik and squid is working fine but the peer data is not include in the Tos for some reason . i’ve just use ur storeurl and conf. im forget to backup my old config. but now i want to disable youtube cache, which one i should disable? I have one problem I explain. I have installed a plugin to download videos (Easy YouTube Video Downloader) here comes the problem, when I want to download the video and download the video not me but sent me to a page that does not exist. Thank you very much for this tutorial. It’s great. But I have two problems. 1. My cache is always full then the squid will stop. how can I automatically remove the old cache object? 2. Internet call is always disconnected? This method donot work anymore properly. Try NGINX method. In our country youtube is banned that’s why I can’t test it. and its work perfect, and after 671 GB cached used, the squid start make a big traffic on our upload, it tack all the upload bandwidth. Hmmm its to understandable that how cache is increasing upload traffic. However first try to clear cache , and see if it helps, then we can do further digging what could be possible wrong. Is there a way to test storurl.pl if it works?? I think the storeurl.pl is not work correctly. If I cancel “storeurl_rewrite_program /etc/squid3/storeurl.pl”, and replay the youtube movie again, I can find “TCP_HIT” in the access.log with the same movie. I have the same problem. I think the storeurl.pl is useless which should be rewrited. Can you please post your comment in English please? This method no longer cache the youtube cache AFAIK. I am from indonesia, i’ve tried the tutorial above. but the results I could not browsing. You need to provide more detail. Without knowing you goals and what you have done so far, its hard to assist you. Please provide details how you have setup squid and how it is attached to mikrotik or what? describe your network scenario and goals you want to achieve. i have install the nginx with YouTube and cache work fine except the download the YouTube video from real player or internet download manger its not any help for that? Can’t help you in this regard anymore, youtube got banned by the authorities in our country last year, so i cant test anything on it. in this case that parameter should modify according to server memory (ram ) and capacity ? and all videos and files are not cashed ? It says that the squid cannot found the cache2 folder in your system. Adjust the cache_dir folder in the squid.conf , point to to valid folder, or create that folder in the respective location. you can use same drive for caching folder, or you can also use separate drive for the cache , actually it depends on the number of users, load and some other factors. FATAL: Cannot open ‘/usr/local/squid/var/logs/access.log’ for writing. please syed jahanzaib help me…..
or through your blog is because I am waiting for your answer on a daily basis. FATAL: storeAufsDirOpenSwapLog: Failed to open swap log. Cant we just use one interface. I mean same interface is connecting cache server to internet and also receiving request from LAN/user? if it possible then how can we change perimeters in your mentioned configs to achieve this goal. Mikrotik proxy can able to chche youtube video ???? i’ve tested yesterday but seems it doesn’t work anymore, can anyone re-confirm this tut still works or not ? Mantaf gan atriclenya sangat membantu, ini sy experiment sendiri pake ini lumayan mantaf gan. hati – hati … perhatikan baik2…. banyak configurasi yg aneh …. jangan di serap 100% … dia ga mungkin share ilmu 100% logikanya gitu , tp kasian 1000’an orang awan jd korban …. we can’t understood ……..plz explain………..Allah AAp Ko Jaza e Khair dey. squid: unrecognized service must write squid to run and don’t run on startup and don’t cache youtube only files and witch command from this install squid file? service is not installed by default when you COMPILE squid from source. i wanna start it auto on start up i must write squid to start every reboot and don’t cache youtube but cache files good whats proplem? then squid will start on every reboot auto. I tested youtube caching at a remote server, and it worked fine (I dont say 100%, but most of videos do get cached perfectly, I tested it several times). Do you have public IP configured at SQUID box? then I can check it. sir…………..i have seen someting like this.. I have successfully installed squid but why it not cache https sites like youtube and facebook. https will not get cached by default. Maybe if you put manually squid cache ports in your browser to work with https I think this can work. I have successfully installed squid but why it not cache dailymotion ….? this didnt cache youtube , they must be change some thing for sure , no new configs ? how to add speed test also to be cached? The storeurl uses the same amount of hard drive space using in lusca directive cache_dir.? sorry i give a comment/question in a wrong post…i should write it down in here…. please mr…i need your help….btw…i didn’t use your lusca,i already install lusca when i use your configuration…is that that become my problem? sorry for my bad english……..
do cache to http://www.speedtest.net to understand velocity measurements that are JPG images, but do HIT because they are in another format eg “/ speedtest/random750x750.jpg x = 1400687173339 & y = 2?” and not makes cache. how to cache update google chrome? i use your squid.conf and storeurl.pl. it works fine excpet for that, when i pause and then resume IDM, it cannot resume downloading. Please any advice. thanks in advance. Do you take donations.? How..? Send me the info to my mail. ALLAH aap ko JAZA E KHAIR dey………! man did this still working for caching youtube ? [root@system ~]# Can’t call method “readline” on an undefined value at /etc/squid/storeurl.pl line 150, line 1. Can’t call method “readline” on an undefined value at /etc/squid/storeurl.pl line 150, line 1.
the video cannod load bandwidth fully…why boss? describe in details what problem you are facing..
what should i delete from squid.conf and storeurl.pl if i don’t want to cache youtube? only for youtube cache? regarding hdd, you should mount hdd as local folder, read this. computers increasingly open youtube with https. as we solve that? there is no free reliable solution for it yet. hello syed i have 2 problems:first the squid not start automaticaly whe ubuntu start..i will type squid -d1N in every restart..
second its not caching youtube videos but caching other website videos..
squid terminate abnormally but when i start rc.local manually in terminal after login to to ROOT then it starts normally. plz guide me what to do and i m googling it if i get some then i’ll post but if u know then post before me it will help us alot. thxxzzzzz for ur king work for peoples. sir i configured as per your instructions. first 5 days its working after that im observing access.log different ips which is not belogs to my network..
what these lines work is these lines only worked for acl range or for any traffic passing from squid? “Can’t locate File/ReadBackwards.pm in @INC (@INC contains: /etc/perl /usr/local/lib/perl/5.10.1 /usr/local/share/perl/5.10.1 /usr/lib/perl5 /usr/share/perl5 /usr/lib/perl/5.10 /usr/share/perl/5.10 /usr/local/lib/site_perl .) at /etc/squid/storeurl.pl line 147. Execution of /etc/squid/storeurl.pl aborted due to compilation errors. How can i Start/Stop/Restart squid?….. is there any init script….. ? How can i Start/Stop/Restart squid?….. is there any init script..? how can i clear cache for squid , what’s command to clear cache , or reset configuration it ?????? PLZ …what command to stop , remove the folder in cache , cause my hard disk is full now , i need command to clear cache after 5 days , and i need to take backup from squid for any problem i will restore it……Thanks for reply . Hi, thank you for your great effort. I implemented this, and having an issue that the same (first loaded) video now loads for any requested video. I am trying to make my daughters YT videos cache as she watches them over and over, and if my network is busy, they stutter. She uses them from a child locked app (android phone), that plays approved YT videos from within the app. As far as I can see this is just a shell around a html browser. I am using lusca as a standalone – so box is ubuntu server, and is not the router as well. But this (and any other videos) end up being the first video watched. – So the system is always serving that fist vide for any YT requests. checking whether build environment is sane… configure: error: newly created file is older than distributed files! Ian just update/correct your system clock. Like using ntpdate -u pool.ntp.org or using date command, maybe is this your issue. kalau buat cache game facebook bagaimana ya? ini game 8 pool tidak tercache, terima kasih sebelumnya. Hello this Squid / Lusca are ipv6 compatible ? Can enable ipv6 ? Sallam sir, everything works fine but youtube cache doesnt its always Miss_Direct …. for transparnet proxy i have to forward traffic from Ubuntu otherwise it doesnt work but if i add proxy settings manually in my client browser it works ..
what should i do to get youtube cache working, everything else is fine 🙂 at least with the manual proxy we get rid of ads from youtube hehe ..
above error continuously coming with different FD numbers. I have searched on internet and it looks lusca bug, but to run my cache smoothly i have to address this problem. Can you please give suggestion on it; how to solve it? well YT will not go in cache probably, because now youtube have shifted its CDN to HTTPS , and ssl is not cacheable (officially). Is there any script to delete old cache video as there is not enough space in cache folder or is there any way to auto delete old cache video??? actually you cannot distinguish VIDEO files from the squid cache, so in short, no official method to do this. you have to clear the whole cache. Your site is very helpfull to people like us!!! I am big fan to your site. Well this doesn’t seems to be an error. what problem you are facing at user end? what error ? User want to access this site. Without our proxy server some iso file is downloading but with our proxy it is displaying this type of error. Is there any way to over come this issue. 1416183852.146 2234 10.42.0.92 TCP_MISS/200 587973 GET http://r2—sn-nv47en76.googlevideo.com/videoplayback? Hi! Thanks for ur howto, btw automake1.9 is now automake1.11 (on last debian stable). @dioley, you cannot redirect https to http or it will break the certificate adn it will become invalid/unavailable. caching https is a headache for normal purposes. You need some very valid sort of certificate which is yearly paid solution. does it work in https ? Hello Syed and thank you for this helpful post! It has been successfully working in a Raspberry Pi (Moebius Debian flavour) from this summer 2014. But now, as you might have noticed, youtube is forced to use https connection and this makes it impossible to be cached. Is there any solution with this Squid fork? there is solution but its not , a kind of dirty work, i will write on it in some free time. do you have any updates ? i see that youtube is using webm now. hello Syed, thank you for sharing your knowledge. I am wondering if there is a way to make this work with pfsense 2.1.5 squid 2.7 or 3.3? Thank you! I have not worked with the PFSENSE so no idea about it. salam sir ijust want to know in this line 43200 is showing mint or seconds ? The HTTP Response message received from the contacted server could not be understood or was otherwise malformed. Please contact the site operator. Your cache administrator may be able to provide you with more details about the exact nature of the problem if needed. in SQUID3.x this is used to not load https in youtube…. so, all you have to do is to replace new request_header_access by the old header_access and request_header_replace by header_replace. not understand, can you show ur configuration how to make it work? MIKROTIK you work with ? You know what would be the rules in version 6.x ???? olar’m problem, with a few androd mobile does not work with this conf squid someone is having the same problem? Dear find torrent server (torrent cache p2p). So youtube reopened in pakistan. dear Ziab have to tried new method using ssl-bump ? I so please share with us. i followed the steps mentioned by you and facing an issue while restarting my squid3. When i am trying to restart the following message will be appeared. I run the first code and got this msg..